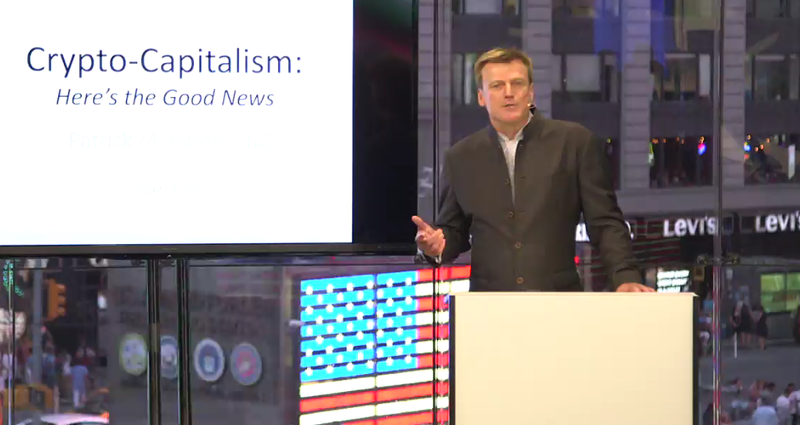 Patrick Byrne, CEO of US online retailer Overstock.com, unveiled tØ today at the headquarters of the major US stock market Nasdaq in New York today. The announcement marked the formal debut of tØ (pronounced tee-zero), Overstock‘s long awaited blockchain-based private and public equities trading platform first announced in 2014. Byrne also unveiled a “big surprise” in the form of the platform’s Preborrow Assured Token, which Byrne suggested would democratize securities lending. The product, he said, is already being used in an enterprise pilot program, and is the subject of interest by major banks. Elsewhere, the event kicked off with talks by tØ co-founder Johnny Tabacco, Jones Day partner Lee Armstrong and Overstock president Stormy Simon, all of which sought to emphasize the innovative nature of the project and the genius of Byrne, who was described as a maverick, visionary and philosopher. Despite his staunch support for the bitcoin network, Byrne was also keen to stress that tØ intends to be ledger agnostic, meaning it can work with any decentralized ledger, he said, with a few weeks of integration. Mentions of bitcoin were noticeably absent from most of the talk, even in references to the enterprise testing of blockchain-based trading systems such as those being developed Nasdaq, which explores how the bitcoin blockchain could be used to trade shares in private companies. 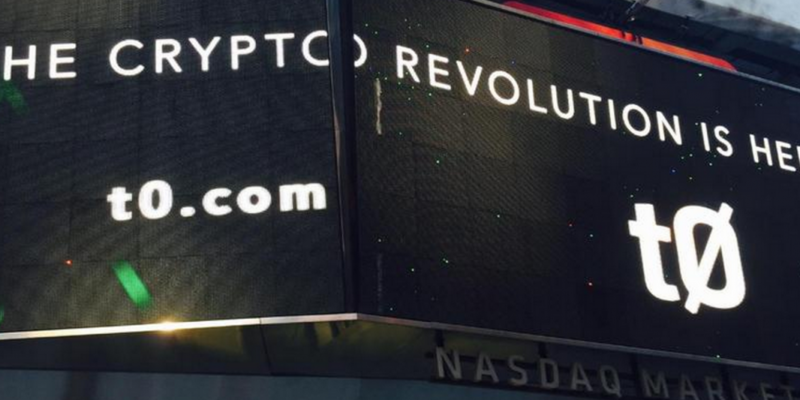 All attendees at the event, however, did receive $25 in bitcoin, an announcement that followed the main presentation. Following the opening speakers, Byrne used his talk as a forum to discuss changes in the nature of Wall Street trading systems, using simplistic analogies as a way to showcase the larger innovations that could be unlocked by distributed ledger technologies. For instance, Byrne used an example where a grandmother sought to purchase a baseball glove from a neighbor, noting how in this instance trade is conducted directly and without any intermediaries. Byrne then evolved the example to showcase how the same trades have been conducted by Wall Street, from the time of bike messengers, until later when these physical messages were replaced by computer systems, and ultimately, different representations of these trades. “True settlement would be, Grandma wants to buy a catcher’s mitt and she gives money for the sale. Imagine that could be put on a public ledger,” Byrne said. Rather than pose this innovation as threatening to Wall Street business models, Byrne sought to stress that tØ intends to license the product to enterprise trading firms. Byrne also sought to distance tØ from other competitors who are looking to sell blockchain-based products to the New York financial market, suggesting some may fall short of delivering on what he considers the true innovative nature of the technology. Building on this narrative, Byrne suggested that real gross settlement would “make impossible” certain wrongdoings that have become common in financial markets.